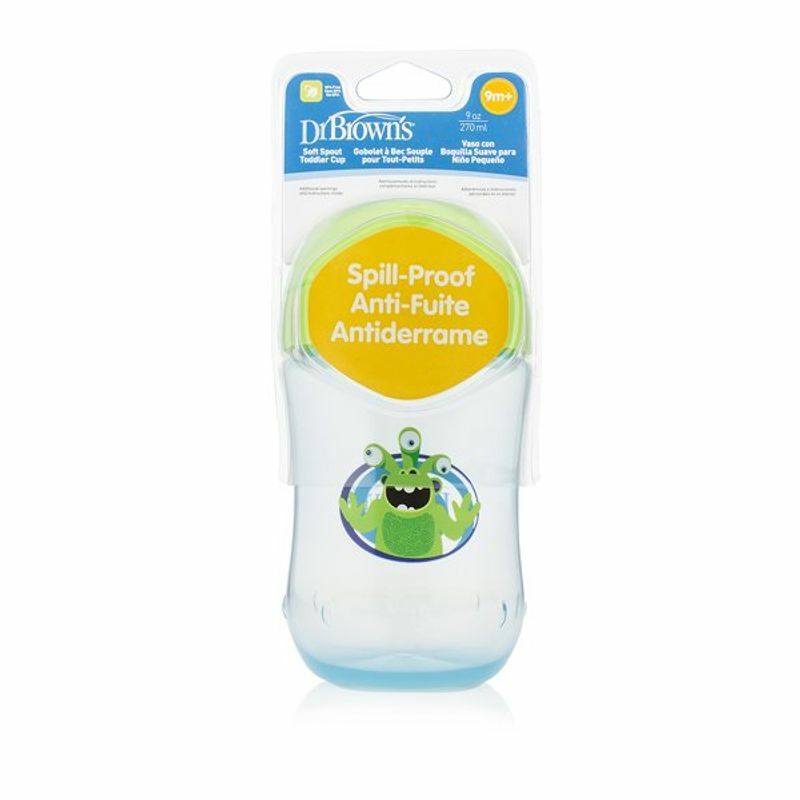 A natural next step in helping little ones learn to drink from a cup is this wonderful offering by Dr. Brown. Contoured, easy grip shape has no handles to make it simple for toddlers to hold this cup like a grownup. Features a one-piece, spill-proof silicone spout valve that makes sipping easy for tiny mouths, and is also removable for easy cleaning. 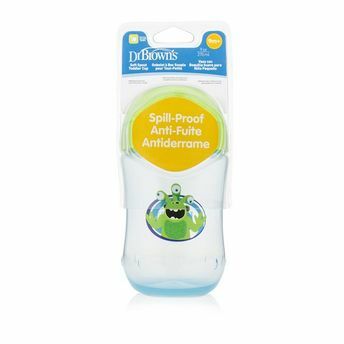 Attached lid stays open when baby drinks and keeps spout clean when not in use.